Danny Meyer’s Battery Park City Spots: The restaurateur behind the Union Square Hospitality Group plans to open three new restaurants at the lower tip of Manhattan. The offerings include a branch of Blue Smoke, another Shake Shack Uudet and a unnamed fine-dining restaurant (Fall; 102 N. End Ave.). And – maybe, just maybe, a barbecue joint will cheap jerseys rise quietly in the far reaches of Brooklyn. Stranger things have been known to happen. 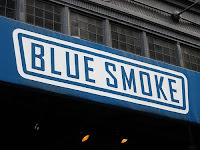 This entry was posted in Barbecue, Barbeque, BBQ, Restaurants and tagged barbecue, barbeque, bbq, blue smoke, danny meyer, food network, gina neely, ifood, manhattan, neely's barbecue parlor, new york city, pat neely, shake shack, soul of america, tv, union square hospitality group, zagat. Bookmark the permalink.